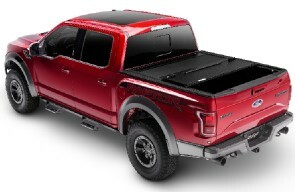 The hard folding cover is designed to protect your truck bed and its contents, while maintaining its strength, style and durability. Heavy-duty panels are coated with a LINE-X® specialty automotive coating designed to provide advanced protection from dents and scuffs, even in the most extreme environments. 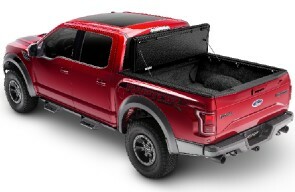 The dual-action tailgate seal offers universal tailgate operation, allowing you to close the tailgate with the last panel of the cover up or down. ArmorFlex is proudly made in the USA, and comes backed by a 5-year warranty.